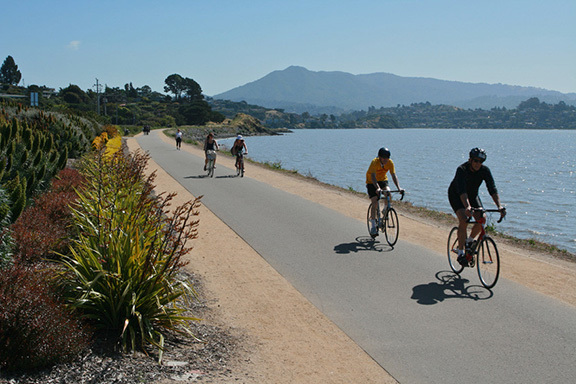 Join us for a bike ride around Paradise Loop in Marin! 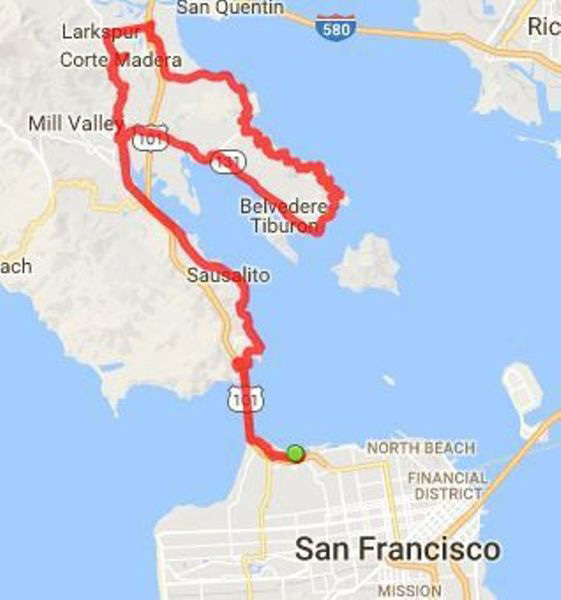 Our route will start in front of Sports Basement Presidio, take us over to Marin across the Golden Gate Bridge, through Sausalito, and around the famous Paradise Loop in Corte Madera/Tiburon. Total distance will be about 40 miles. Average moving speed will probably be about 10mph. This is not a beginner-friendly ride. Additional Information: If there is interest, we can try to arrange additional meeting spots along the way. E.g., 4th & King, or near the Embarcadero, for people coming in by CalTrain or BART. Or locations TBD in Sausalito, for people who would prefer to not ride over the GGB. End time: Depends on how fast we move. I would guess it'll be 2 or 3pm by the time we get back to SF. Meet at: Sports Basement Presidio on Old Mason St.